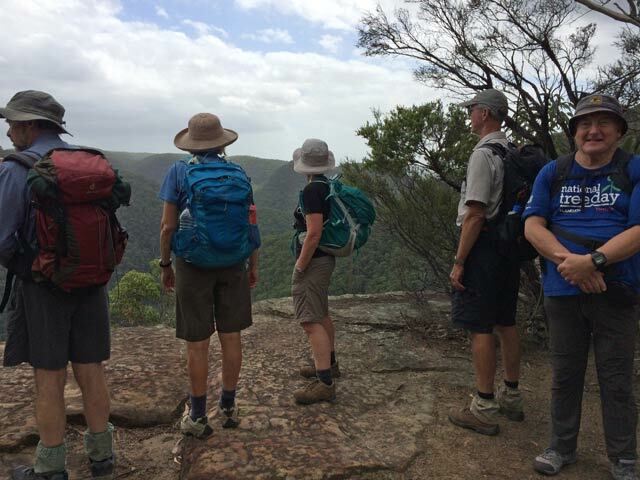 This is a circuit walk following Shaw's Ridge for spectacular views over the Grose Valley from the Grose Mountain Lookout. The day was cool and cloudy with some sun promising to show later in the day. It was great to have relief for the warmer weather at last! Our walk started at 9.11am with the pickup of three travellers from Springwood Station . 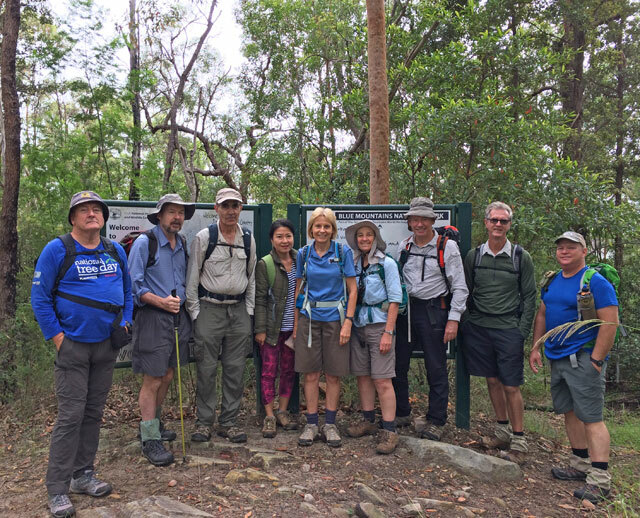 We met up with the rest of our fellow walkers at the trackhead , at the end of White cross Road , Winmalee for the start of our walk along Shaw’s Ridge to the Grose Lookout. After our meet and greet, we were off, following the fire trail which allowed us the chance to talk and walk. We passed a monument to three bush firefighters who died protecting homes and residents in the area in 1989. A quite moment to reflect on how lucky we are to have those brave enough to serve the community in such difficult terrain. 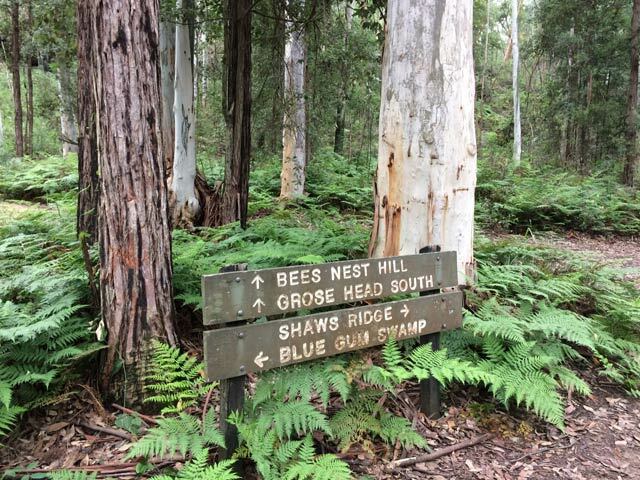 We descended Shaw’s Ridge to the Blue Gum area and an old picnic spot marked by a long abandoned BBQ pit for our morning tea. Then, we started our ascent towards the Grose Ridge. It was a steady climb up , and maybe a bit of heavy breathing involved. Once on the Grose Ridge we followed this to our destination, the Grose Lookout. 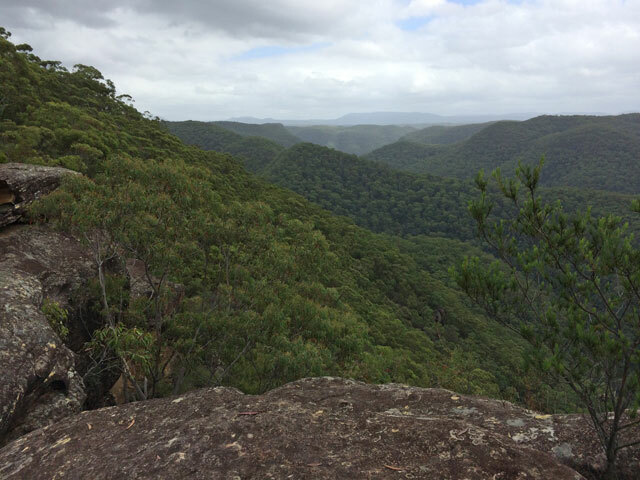 We were rewarded with fantastic views down to the Grose River and way beyond. Leaving our packs we wandered further up the hill for better views of about 180 degrees of wilderness in every direction. Beautiful! We returned to our packs and enjoyed a relaxed lunch on the rocks looking out into the valleys below. 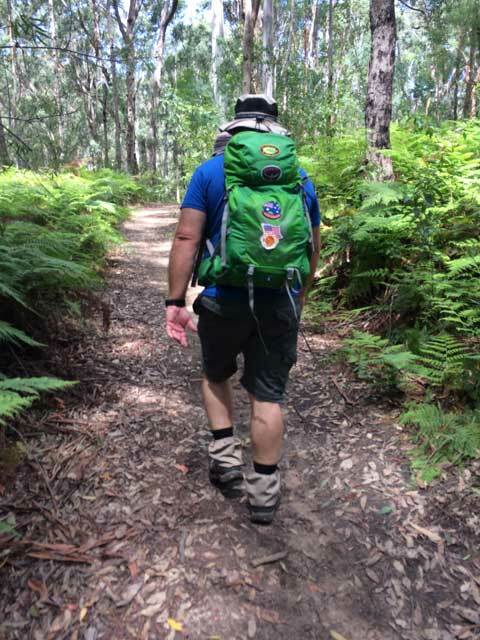 On our walk back down the trail we joined the Shaw’s Ridge trail and continued around through the Blue Gum Swamp, surrounded by towering gums and ferns galore. There was some water in the area but not enough to wet our boots, and no leeches! 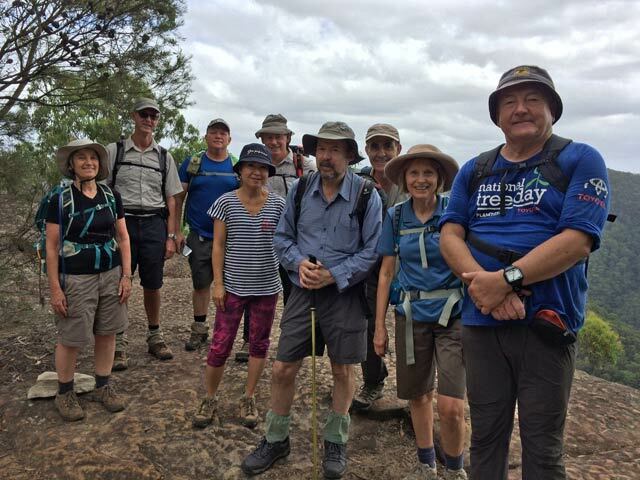 We completed our 80 Leaders walk around 230pm and all felt the benefits of the exercise and the enjoyment of time share together on the track.